Loving this build so far. Although I may swap back to Rotundos from the Ritchey bars I have atm. I finally got my hands on a 2014 CAAD10 and have decided to replace the 25 mm conical spacer ("Tange Seiki") by a 5 mm one (original Cannondale part no KP253: http://www.cannondalespares.com/Cannond ... il/3-40270). However, I've noticed that I cannot fit the previous rubber washer with the new top bearing cover, so it must sit on the top bearing (or the compression ring), so it seems that the bearing itself will be very prone to mud/dust/water... Is this how the cover shall be installed? 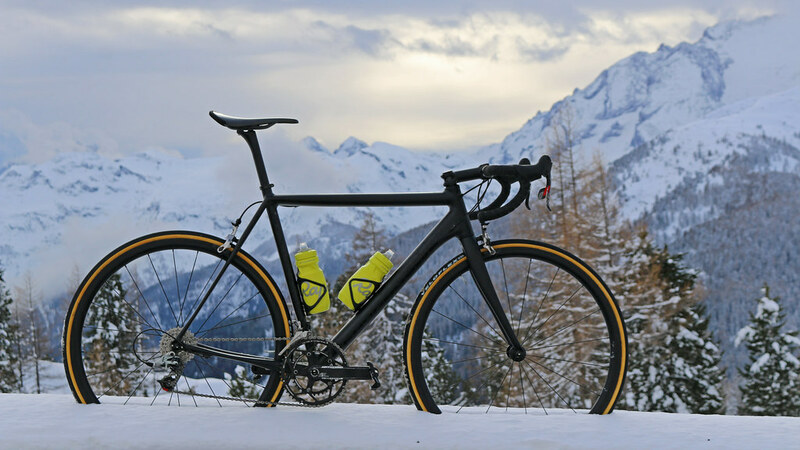 Thats lovely..... the wheels are just the right profile for the frame IMO, what are they? 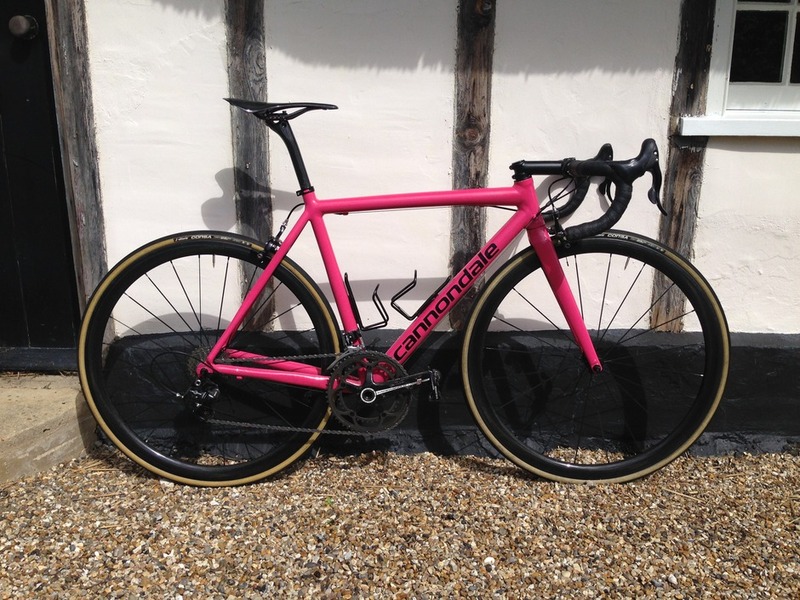 ...Thats lovely..... the wheels are just the right profile for the frame IMO, what are they? Thanks, that's why I bought them! Wheels where built by Laufrad-Tuning.de. Honestly, I'm not sure what rims these are exactly, but they're the tubular version, 28mm wide and 32mm high. I like them very much! Tell me more about this drivetrain. Quarq with Extralite rings? How did you install those fenders? It's an ultegra di2 set up with hollowgram cranks. I brought it as a 2x but just disconnected the front mech at the lower junction box and removed it for winter. I'm using a Power2Max power meter and replaced my chainrings with a narrow wide wolf tooth that is offsete 2mm inboard. So far so good, i've done 650 kms and no issues at all. I'll swap chain rings put and put the front mech back on in april. I've got a 50 on the front and 11-28 on the rear. If it was any hillier, i would go for a 48 on the front and an 11-32 on the rear. I'll try and get some pics later today for you. fenders are installed with zip ties. I took some inspiration from Calnago's rain bike and had to do a bit of improvisation on top of that. I ordered the rear seat stay bridge mount for the optimo and mounted the fender to that and then zip tied it to the stays. For the front i drilled out the rivets and then drilled 2 holes on each side to run a cable tie through the fender and then mount it over the top of the fork upset. All attachment points have 5 or 6 wraps of electrical tape on them so the ties have something to bite into. This set up is quieter than the PDW's i had on my old synapse and haven't moved a bit. 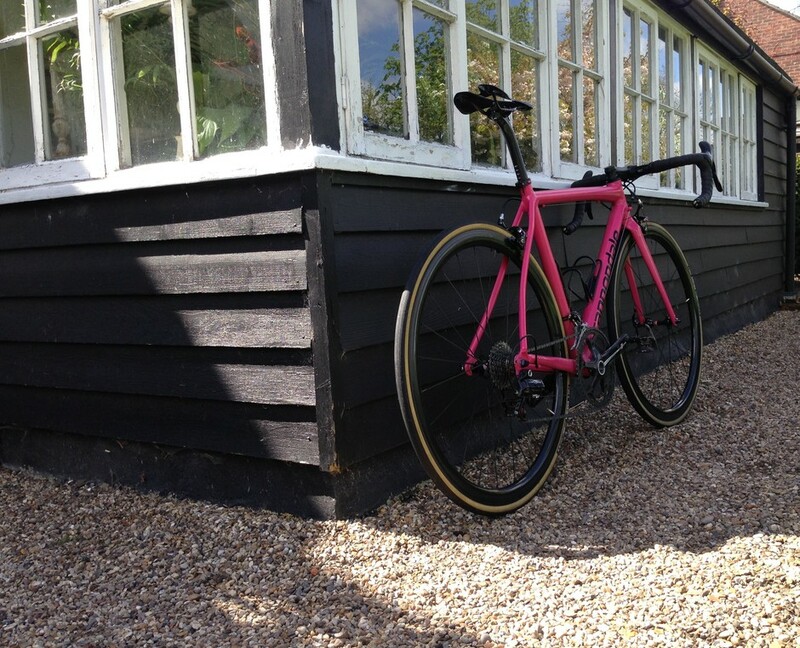 Trying out some Vittoria Corsa G+ tyres at the moment, impressed so far. 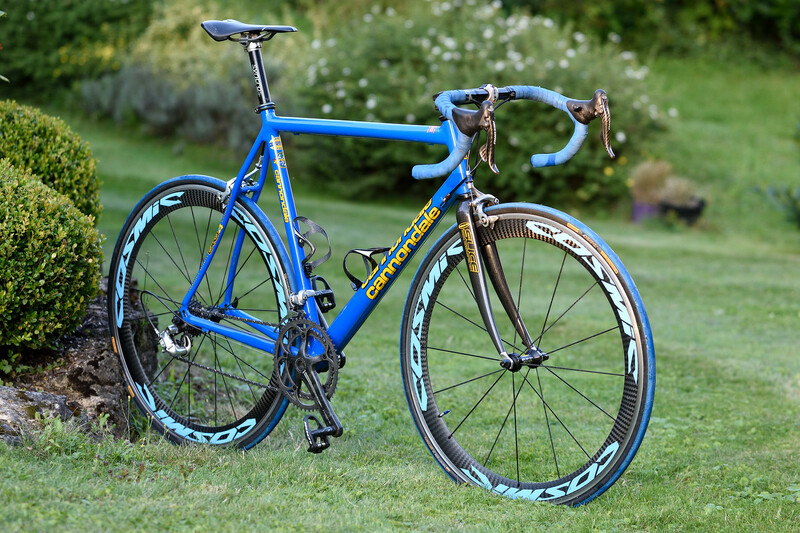 lovely bike, bit of an odd question: I have that same seatpost and don't know who makes it. Do you know the manufacturer/model? It drives me nuts as I haven't figured out how to tighten it down on a saddle without a cutout. Huge fan of these worked-over older builds, nicely done. by DAVX » Tue Jun 12, 2018 3:27 am » in Introduce Yourself / Gallery - Please use metric weights. Hello, I'm new! Picked up a new bike, Allez Sprint Disc and will be recording the build on this thread. by dang3rtown » Tue Dec 11, 2018 7:47 am » in Introduce Yourself / Gallery - Please use metric weights.